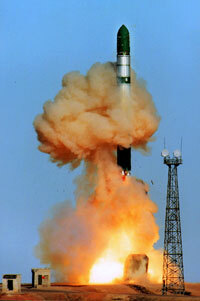 Politicians often say that the United States faces a growing threat from ballistic missiles. Yet by most measures, the threat has steadily declined over the past 20 years. There are far fewer missiles in the world today than there were 20 years ago, fewer states with missile programs, and fewer hostile missiles aimed at the United States. Thankfully, the House Armed Services Strategic Forces Subcommittee showed last week that it is committed to investing in more rational, science-based defense with a series of corrective actions, including trimming some of the fat from the anti-missile budget. In 1987, the Soviet Union aimed thousands of nuclear-tipped missiles at America. President Ronald Reagan’s negotiated agreements and then the Soviet collapse shrank the ballistic missile threat by orders of magnitude. Absent an accidental or unauthorized launch, it is now unlikely that the remaining missiles would be used in a global thermonuclear war. As attention shifted to smaller, potentially hostile states, ballistic missiles still garnered the lion’s share of attention from policy-makers, though they constitute only one—and the most difficult—delivery method for nuclear, biological, and chemical weapons. There is no imminent, new ballistic missile threat. The threat from a North Korean or Iranian long-range missile is still largely hypothetical. 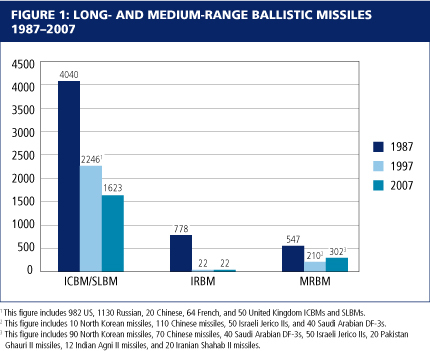 Countries developing ballistic missile technology today are fewer in number, poorer, and less technologically advanced than the nations that were developing ballistic missile technology 20 years ago. Neither the United States nor Europe currently faces a looming threat from ballistic missiles. In extensive testimony before the Senate Armed Services Committee on April 11, 2007, Director of the Missile Defense Agency General Henry Obering cited only two nations as potential threats—Iran and North Korea—neither of which has the capability to strike the continental United States or central Europe with ballistic missiles. This judgment is sound. Two dozen countries have ballistic missiles but almost all these nations are friends of the United States, and almost all have only short-range missiles that threaten only their neighbors. China is the only potentially hostile nation that has a long-range missile that can reach central Europe or the United States from its territory. There are currently far fewer intercontinental ballistic missiles and long-range submarine-launched ballistic missiles than there were during the Cold War. In 1987, the Soviet Union deployed 2,380 long-range missiles in its combined ICBM and SLBM arsenals with 9,847 warheads. The United States deployed 1,640 long-range missiles with 8,331 warheads. As of February 2007, Russia has only 669 long-range missiles carrying 2,467 warheads, and America has only 836 long-range missiles carrying 3,066 warheads. The total number of long-range missiles potentially threatening the United States has declined from 2,400 fielded by the Soviet Union and China in 1987 to only 689 fielded by Russia and China today. This is a 71 percent decrease in the number of ICBMs that threaten U.S. territory. The ballistic missile threat to American forces and interests in Europe and Asia has gone from 915 medium- and intermediate-range Chinese and Soviet missiles in 1987 to about 70 Chinese missiles, 90 North Korean No Dongs, and a small number of Iranian Shahab III missiles now. This totals about 180 missiles that could threaten U.S. forces or allies, representing an 80 percent decrease in threatening systems. This threat could grow in the future if these three nations increase their missile production and deployment. Five new countries—India, Pakistan, China, North Korea, and Iran—have developed limited medium-range ballistic missile capabilities since the late 1980s. Yet there are still fewer medium-range missiles today than 20 years ago. The vast majority of nations with ballistic missiles have only short-range ballistic missiles with ranges under 1,000 km—a fact ignored in the oft-cited, ominous statements that “28 countries have ballistic missiles.” Of these 28 nations, 17 only have Scud-B or similar missiles with approximate ranges of 300 km or less. Many of these missiles are quite old, have not been well maintained, and are consequently declining in military utility. The U.S. government spends $10 billion dollars each year on anti-missile weapon systems that are chronically over budget, behind schedule, and failing technologically. The Government Accountability Office estimates that since the late 1980s, as the threat has declined, the government has spent $107 billion on anti-missile systems with another $49 billion budgeted for the Missile Defense Agency over the next five years. The GAO reports that while there has been some progress, overall “costs have grown and less work is being completed than planned.” In other words, we are spending more and getting less. The Strategic Forces Subcommittee’s decision to cut the anti-missile budget by almost 10 percent is the beginning of a turn towards more rational, science-based defense efforts. The ballistic missile threat today is confined, limited, and changing relatively slowly. There is every reason to believe that it can be addressed through diplomacy and measured military preparedness. If missile defenses prove feasible, particularly those designed to counter the more prevalent short-range missiles, they can be an important part of these efforts. But they should never dominate policy. The sooner balance is restored to our assessments, budgets, and diplomacy, the better prepared the country will be for the genuine threats we face. Given the catastrophic consequences of an accidental launch, it makes little sense to keep these missiles deployed and certainly not on their current high-alert status, ready to launch in 15 minutes. Iran has short-range missiles that could hit Turkey and southern Russia. Offensive Nuclear Forces, 1945-1996, Natural Resources Defense Council, January 1997, p. 13. Norris and Cochran, Nuclear Weapons Databook: U.S.-U.S.S.R/Russian Strategic Offensive Nuclear Forces p. 12. Robert S. Norris and Hans M. Kristensen, “NRDC Nuclear Notebook: Russian Nuclear Forces, 2007: Bulletin of Atomic Scientists, January/ February 2007. Russian Notebook available here. U.S. Notebook available here. Robert S. Norris and Hans M. Kristensen, “NRDC Nuclear Notebook: US Nuclear Forces, 2007,” Bulletin of Atomic Scientists, January/February 2007. The Shahab is adapted from the No Dong. Independent estimates range from 10 to 25 Shahabs deployed; this analysis takes a middle estimate of 20. This estimate also does not count the Taepo Dong missile, which has failed in two tests to travel more than 1,320 km and is not deployed. Testimony before the Subcommittee on Strategic Forces, Committee on Armed Services, the U.S. Senate. “Missile Defense Needs a Better Balance Between Flexibility and Accountability.” Statement by Paul Francis, Government Accountability Office, April 11, 2007, p. 6.